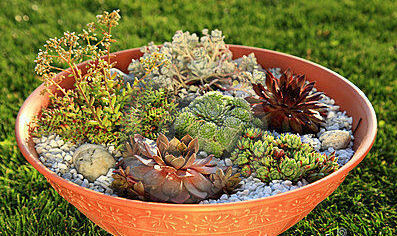 For something different, try planting succulents in container gardens. These plants can take care of themselves. They store water which makes them great for hot or arid climates. To the other extreme, many can withstand temperatures as low as -20 degrees F. If needed, they can winter indoors – just place them in a sunny spot with a south facing window. They are very adaptable. Succulents are fleshy plants – think sedum, sempervivum ( hens and chicks), aloe or kalanchoe. These plants evolved in some of the worst growing conditions on earth and actually grow best in heat and poor soil. They can grow in the cracks between paving stones, in rock walls or in rock gardens. But, they also do very well in containers – in shallow dishes or in rock or concrete planters, in terracotta , stone troughs or hypertufa. Use a shallow container for planting. These plants have fibrous roots and do better in shallow soil. For a potting mix, use five parts of perlite to four parts of potting soil. Then, add one part coarse sand and one tablespoon of rock dust. No fertilizer is needed. Mix well. Fill the container halfway with the soil mixture. Decide before you plant where you want to position the plants. Place the focal plant first and lightly cover its roots. Continue with the other plants, then pour the rest of the soil mixture on top of all the roots and spread it evenly through the container. Add some small river rocks, pea gravel or crushed pebbles to the top of the container. Don’t use a saucer under the container as succulents need good drainage. Water lightly and place the container in a sunny spot. Succulents in container gardens need at least four hours of sun per day in the beginning. Gradually leave the container in the sun longer each day until it is in the full sun all day. When you water, just water until a drop of so of water comes through the drainage hole. Don’t water again until the plants and container are totally dry to the touch. 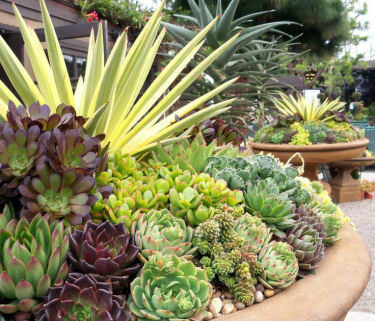 Even though succulents are drought resistant, they are not cacti. Succulents need water and have the ability to retain it in their fleshy structure. Sempervivums and sedums (shown below) are the best choices for succulents in container gardens – at least for most of us. They are hardy to zones 4 or 5. 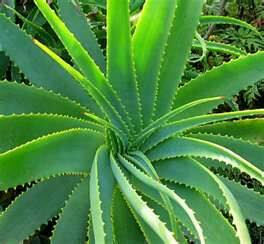 If you live in milder climates, try aloe, kalanchoe and others. If you want to grow these in colder climates, you will need to bring them in for the winter. There are hundreds of different sempervivums ( you may know these as hens and chicks) – they come in a variety of colors and shapes and every year the “hen” adds more “chicks”. This multiplying is what gives such a diversity of color and form. 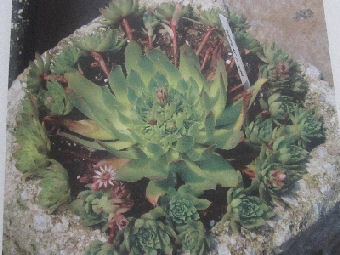 One type is Sempervivum tectorum. This is a larger sizes, fleshy plant. Then, there is Sempervivum arachnoideum. These are a smaller, rounded plant with a silvery web over the leaves. 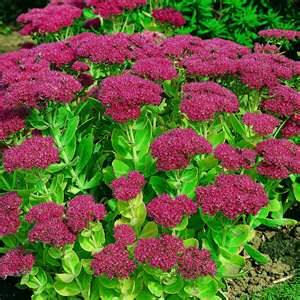 Sedums come in a variety of colors as well. “Autumn Joy” (above) is one of my favorites.